The RK-55 Relief (SS-N-21 Sampson NATO designation) is a long range subsonic cruise missile that was first introduced in 1984 with two variants; one land-based and the other sea-based. The land-based mobile launcher was the MAZ-543, which carried 6 RK-55 missiles. The land-based missiles maintained further range (3000km) than the submarine launched variant (2400km), and was only intended to carry nuclear warheads. 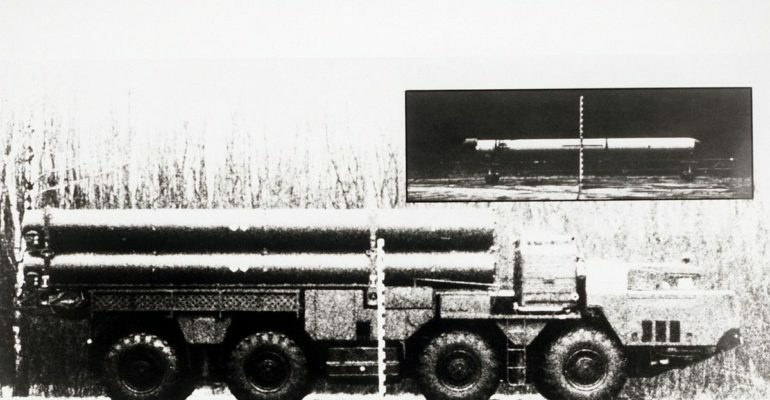 The RK-55’s land-based delivery system was banned by the 1987 Intermediate-Range Nuclear Forces Treaty (INF), shortly after the Soviets began to equip the road-mobile MAZ-543 launchers. The submarine-launched variant, called the S-10 Granat, has a range of 2400km, and can be equipped with a nuclear warhead or a conventional 410kg HE warhead. The Akula class submarines were the first to be equipped with the S-10 in September 1986. Russian submarines can reportedly carry up to 35 of these missiles at once, which are launched from 533mm torpedo tubes. Since the START II agreement of 1993, Russia has converted all S-10 missiles from nuclear to conventional warheads. The RK-55 Relief was the Soviet response to the U.S. Tomahawk cruise missile. Today, the only class of these missiles still active are the S-10 Granat armed with conventional warheads, which are located in vertical launch tubes behind the conning tower. After the START I Treaty, which banned submarine-launched nuclear cruise missiles, the U.S. navy similarly had to dismantle nuclear armaments on their Ohio class submarines. Today, the S-10 Granat is Russia’s primary submarine-based anti-ship missile, but not much is known about its operation or technology.